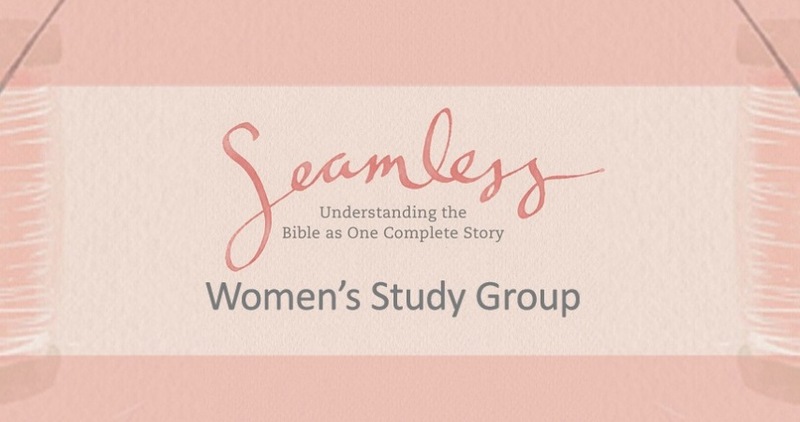 The Seamless women’s study will cover the people, places, and promises of the Bible, showing participants how the entire Bible - from Genesis through Revelation - connects as one beautiful, seamless thread. Each session of this 7-week study features key information that ties all of scripture together into the seamless truth of the gospel message and is accompanied by maps, general Bible facts, and word studies. This study is geared toward those individuals who are exploring and new to faith who may want to learn more about the 66 books of the Old and New Testament. Together, these books tell a seamless story about the God who made us, loves us and has a future for us. Join this women’s group study to understand the Bible as one complete story. Materials will be distributed on the first day of this study. Homework: A half hour each day, 5-days a week. Childcare will be available for infant through kindergarten if there is enough interest to offer this service. Questions? Contact Tammy Hill at thill@horizoncc.com. Please notify us if you register for this group but your plans change and you are not able to attend. Email groups@horizoncc.com or call 513-272-5800 ext. 244.